It is true that you cannot buy happiness at any cost but if happiness was a place, it would definitely be Bhutan. Gemini Tours & Travels welcomes you to explore the Land of amazing happiness and its beautiful secrets that need to be explored. The tourism in Bhutan has always been popular & engages extraordinary numbers of domestic and global tourist, whom we feel honored to have served for several years now. Our quality Bhutan holiday package have provided an exotic travel experience to many satisfied and happy customers who have made sure that their occasional Bhutan Trip or brief Bhutan Tour is taken full care of through us due to the sense of trust that we have been able to grow in their hearts. 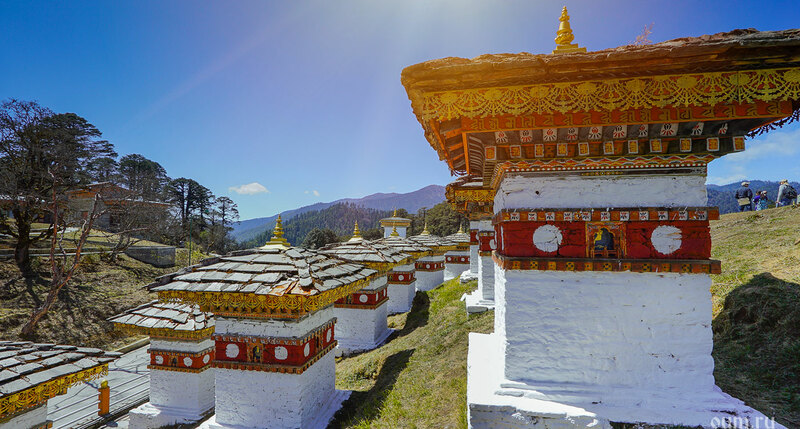 We regularly update our interesting list of package itineraries so that our guests who have already taken our package for a Holiday in Bhutan would have a completely new experience during their next Bhutan vacation. We believe in providing the exotic and local elements of Bhutan, a little differently yet ‘Perfectly'. Gemini Tours & Travels have an expert panel of holiday planners who are always ready to customize your holiday packages according to your preferences that suit your travel needs. Our years of service towards the Travel sector have allowed us to be associated with the best of hotels in Bhutan and resorts along with prompt services like affordable car rental in Bhutan. We also offer other convenient services regarding air ticketing - domestic & international, Hotel / Resort booking in Bhutan, luxury Car / Bus rentals and exotic packages for Educational Tour, Honeymoon Tour or simply Bhutan Package Tour. Our success lies in the quality of services and the importance of customer happiness that we engage in so that our guest need not worry about anything else, once they choose us to be their travel assistant. It is when all the elements related to your trip go right that your vacation becomes a Success. Planning the most memorable holidays for you with excellent customer service is the value we maintain from the core of our heart. We want to make your trip worthy spending with us and full of satisfaction from the beginning to the end of your journey. Your heartfelt appreciation is the best that we can achieve. Our tourism plan started with preparing sustainable and all-inclusive tour packages which have all the travel related services in a particular rate or level. Even today we have been able to maintain that level of rate to keep the same old relationship with our regular customers. This is a huge reason behind the goodwill we have attained.